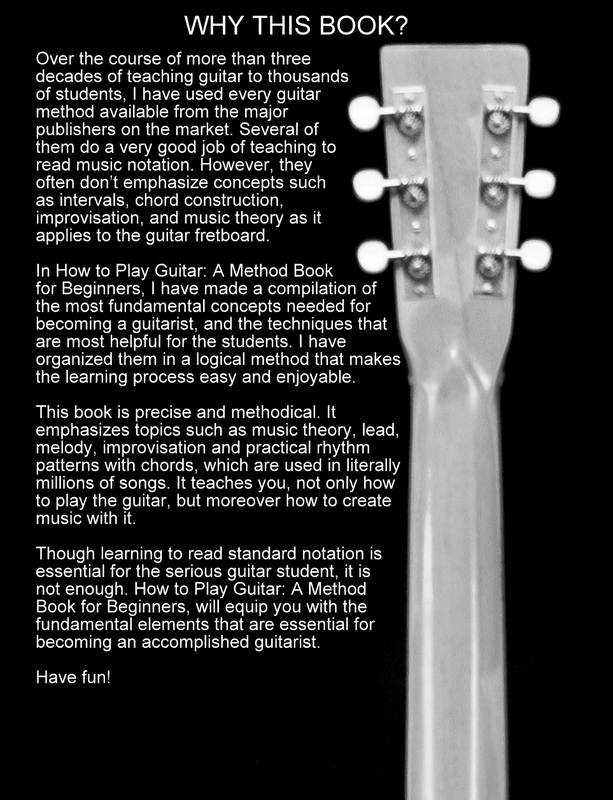 ALL 116 VIDEOS of the exercises in the book are on the bottom of THIS PAGE. View the videos before buying the book if you like. They are ALL FREE! The book costs $30. The cost is $25 if you buy the book in person (no shipping cost). 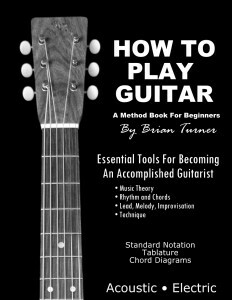 Learning to play a guitar is like taking a very long trip. When taking a trip, we make plans. We spread out a map and chart out a path that helps us reach our destination. In today’s world, technology brings us an abundance of sources. Though sources are unlimited, they can also be distractive. We may find ourselves hopping from one thing to another and losing our focus. 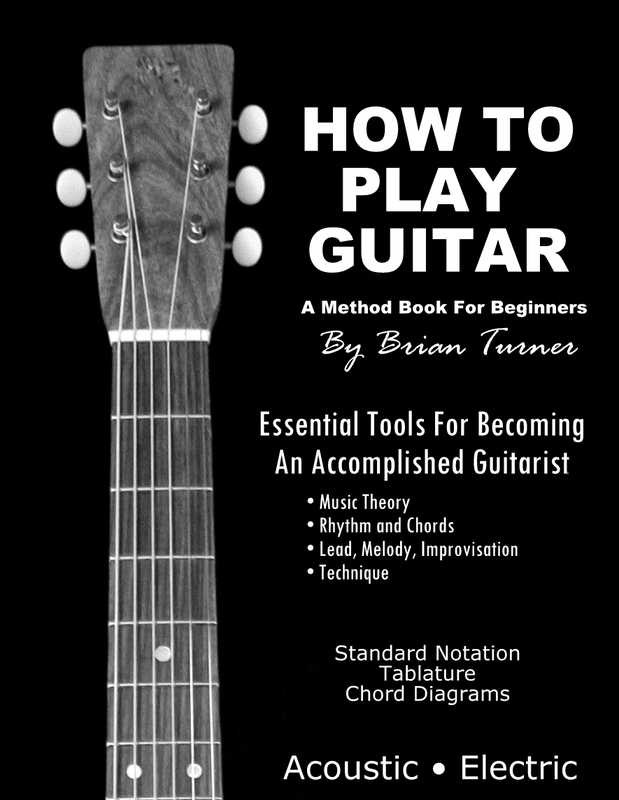 When learning to play guitar, it is crucial to have a guide that will keep us focused on the essentials, so that we reach our goals. We need to keep our eyes on the road that is before us, turning neither to the left nor to the right. 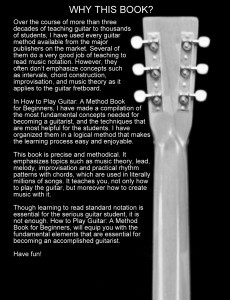 How To Play Guitar: A Method Book For Beginners is a map that will help you reach your destination. I hope you embrace this journey and develop the love of music that I have! AND NOW! THE FREE VIDEOS! LET THE SHOW BEGIN!